Centurion marked the New Year with a new look workshop at their Thetford Norfolk headquarters. As a manufacturer of head protection products, it was essential that Centurion were able to continue carrying out their crucial product safety testing during the first week of works. With this in mind, one of our first tasks was to sheet off a portion of the space allowing workshop access to be maintained. The walls were decorated to give them a new lease of life and a new suspended ceiling was dropped in. 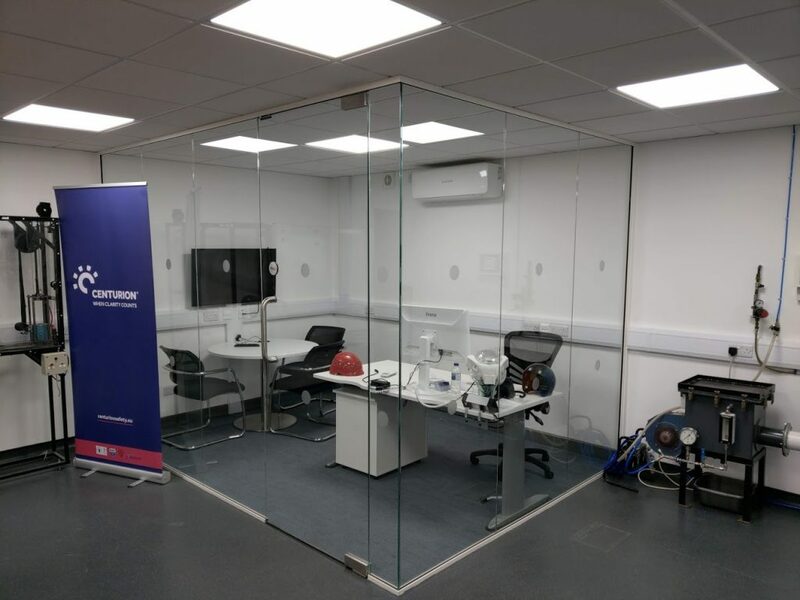 The ceiling void, which was designed to contain services such as new air-conditioning cassettes as well as leaving enough space within the room for the client’s custom built air chamber, had to be planned and installed with pinpoint accuracy. 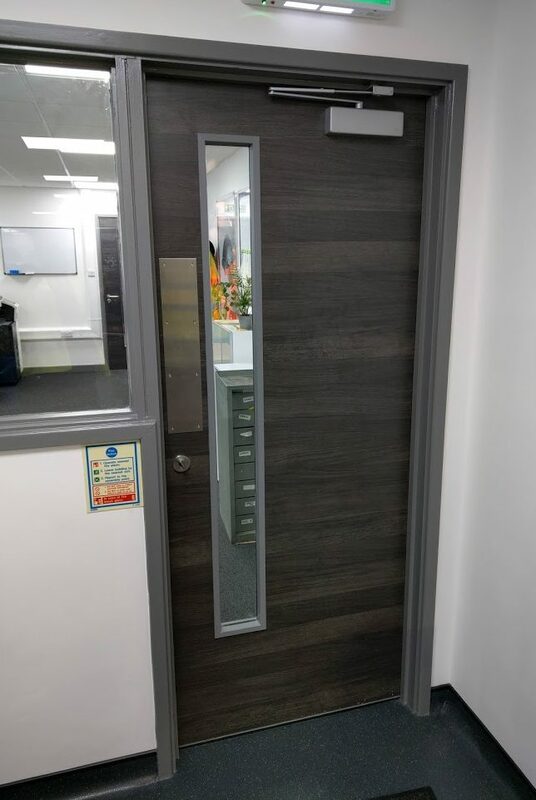 New laminate doors were fitted, ensuring a good match with existing ones and a complete new electrical installation was carried out. New LED lighting was installed, along with air conditioning to the area. Our works also included a new stainless steel sink fitted to the corner and a single glazed glass office to create a separate and distinct work space within the workshop. Finally new flooring was fitted throughout along with custom built work benches.